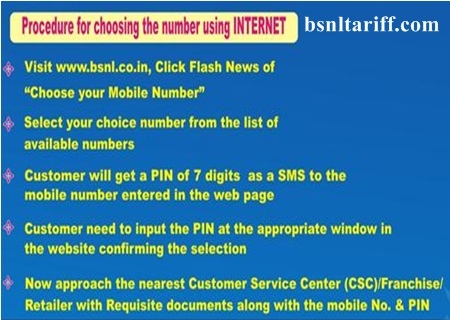 Bharat Sanchar Nigam Limited (BSNL) has introduced SMS provisioned based "Choose Your Mobile Number " Scheme through all over India. BSNL competent authority enhanced its online based Moile number availability via sending SMS in simple manner. Customer can send SMS mentioning their State Code. 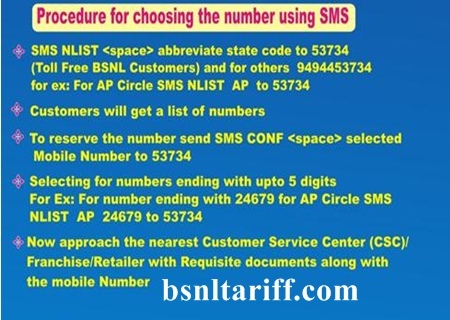 This scheme earlier introduced in Andhrapradesh Telecom Circle, now seeing its popularity and BSNL Andhrapradesh Telecom has gained more than 1.5 lakhs of connections only through this "Choose Your Mobile Number" Scheme. Over one lakh Mobile numbers are Uploaded, customers can choose their desired number from these one lakh Mobile numbers.